In our last blog, we explored different aspects of our hip joint by moving our legs upward and downward in the coronal plane. In this blog, we will continue with the theme of massaging different aspects of our hip joint by adding movement in a different plane. We will begin in the same position as we last finished, lying on your side with your bottom leg bent. 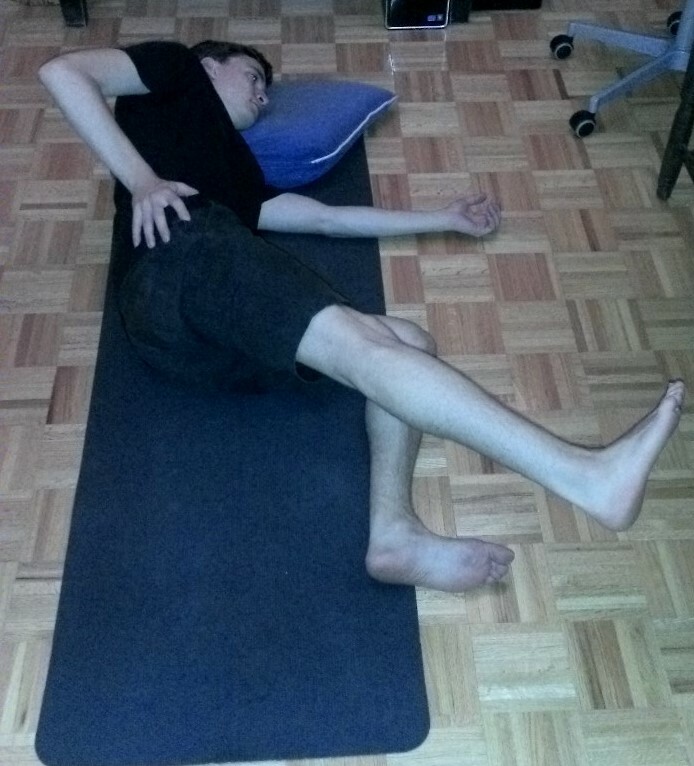 You can put a pillow under your head to allow for better alignment of your spine. If you need a reminder, please refer to the last blog in our archived exercises. As always, we will start with the breath. Inhale deeply through your nose, and exhale completely out of your mouth. As you exhale, feel your abdominals narrow across your waist. To increase this sensation, make your exhale audible. That is, as you exhale make a sound as if you are blowing out your birthday candles. To ensure that you are exhaling completely, imagine that you are blowing out the candles at you 100th birthday party. 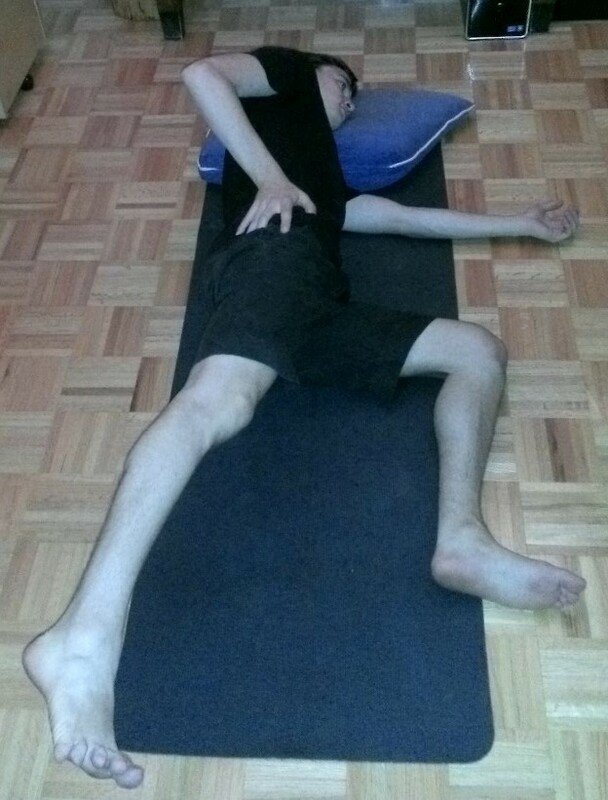 Remember, our goal is to create tone in the abdomen to maintain stability in our pelvis. Our abdominals create the best support when they are engaged completely. Because our abdominals engage in response to respiration, it is important to breathe fully to create the maximum amount of stability. On your next exhale, begin to lift your top leg. With your leg lifted, observe if you are lifting only your thigh, or if you are hiking your hip. Again, we want to stabilize our pelvis, while moving the leg in the hip joint. If you are able to maintain a stable pelvis, move your leg forward and backward as if you are walking. See if you can continue to keep the pelvis stable as you add focus to your breath, exhaling as you take the leg forward and inhaling as you take the leg back. Do eight swings of your leg, forward and back. If you feel comfortable, add five little circles of the leg in each direction, inhaling as you circle forward and exhaling as you circle backward. You should feel your gluteal muscles working, as well as your abs. When you are ready, repeat the exercise on your other side. If you feel any discomfort or pain, discontinue the exercise. Contact your doctor or physical therapist before continuing any exercise routine.